Since regular contacts with a KGB agent named Nikolai Sergeevich Leonov in Mexico City had not resulted in the hoped for weapon supply, they decided to go to the United States to gather personnel and funds from Cubans living there, including Carlos Prío Socarrás, the elected Cuban president deposed by Batista in 1952. Back in Mexico, the group trained under a Spanish Civil War Veteran, Cuban-born Alberto Bayo who had fled to Mexico after Francisco Franco's victory in Spain. 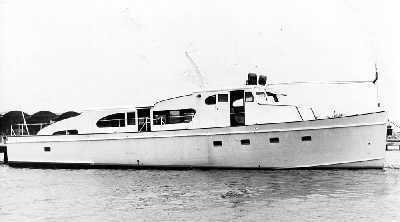 On November 26, 1956, Castro and his group of 81 followers, mostly Cuban exiles, set out from Tuxpan, Veracruz, aboard the yacht Granma for the purpose of starting a rebellion in Cuba. The rebels landed at Playa Las Coloradas close to Los Cayuelos near the eastern city of Manzanillo on December 2, 1956. In short order, most of Castro's men were killed, dispersed, or taken prisoner by Batista's forces. While the exact number is in dispute, it is agreed that no more than twenty of the original eighty-two men survived the bloody encounters with the Cuban army and succeeded in fleeing to the Sierra Maestra mountains. The group of survivors included Fidel Castro, Che Guevara, Raúl Castro, and Camilo Cienfuegos. Those who survived were aided by people in the countryside. They regrouped in the Sierra Maestra in Oriente province and organized a column under Fidel Castro's command. 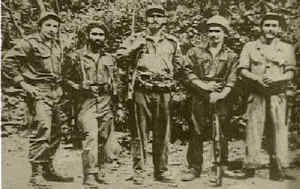 From their encampment in the Sierra Maestra mountains, the 26th of July Movement waged a guerrilla war against the Batista government. In the cities and major towns also, resistance groups were organizing until underground groups were everywhere. The strongest was in Santiago formed by Frank País. On December 2, 1956, Castro returned to Cuba with a boatload of 81 insurgents near the eastern city of Manzanillo. In short order, Batista's forces killed or captured most of the attackers. Castro, his brother Raul, and Guevara were able to escape into the Sierra Maestra mountain range along the island's southeastern coast. Over the course of the next two years, Castro's forces waged a guerrilla war against the Batista government, organizing resistance groups in cities and small towns across Cuba. He was also able to organize a parallel government, carry out some agrarian reform, and control provinces with agricultural and manufacturing production. Arriving back in Cuba on December 2, 1956, Castro and his group of trained rebels (the 26th of July Movement) landed on Cuban soil with the intention of starting a revolution. Met by heavy opposition forces, nearly all of the rebels died. Castro, his brother, and Che Guevara escaped into the mountains. Over the next two years, Castro and his newly recruited rebels used guerilla tactics against Batista's troops.